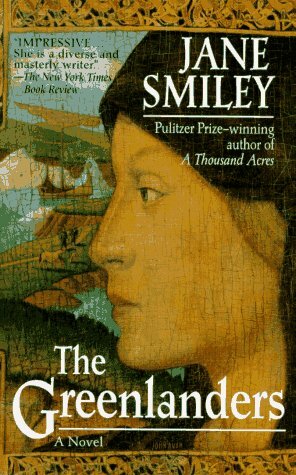 Jane Smiley, the Pultizer Prize-winning author of A Thousand Acres, gives us a magnificent novel of fourteenth-century Greenland. Rich with fascinating detail about the day-to-day joys and innumerable hardships of remarkable people, The Greenlanders is also the compelling story of one family--proud landowner Asgeir Gunnarsson; his daughter Margret, whose willful independence leads her into passionate adultery and exile; and his son Gunnar, whose quest for knowledge is at the compelling center of this unforgettable book. Echoing the simple power of the old Norse sagas, here is a novel that brings a remote civilization to life and shows how it was very like our own. "TOTALLY COMPELLING . . . FASCINATING . . . 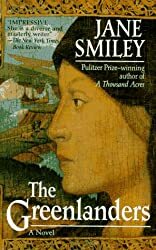 In the manner of the big books of the nineteenth century, in which complex family and community matters unravel--Dickens, Dumas, Tolstoy--The Greenlanders sweeps the reader along. . . . Jane Smiley is a true storyteller." "A POWERFUL, MOVING STUDY OF HUMAN FRAILTY AND THE EPHEMERAL NATURE OF COURAGE AND LOVE." "WONDERFUL . . . A HISTORICAL NOVEL WITH THE NEARNESS OF CONTEMPORARY FICTION." "[AN] EPIC MASTERPIECE . . . SPELLBINDING."